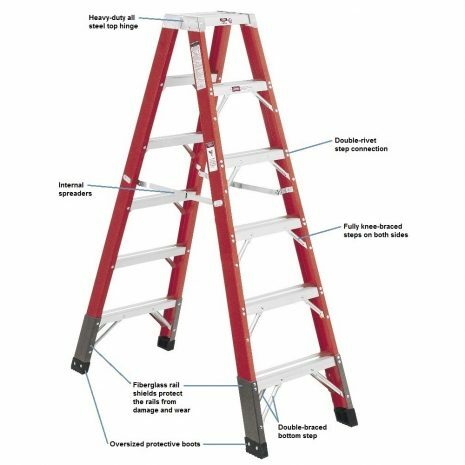 It is the most reinforced stepladder in the industry! 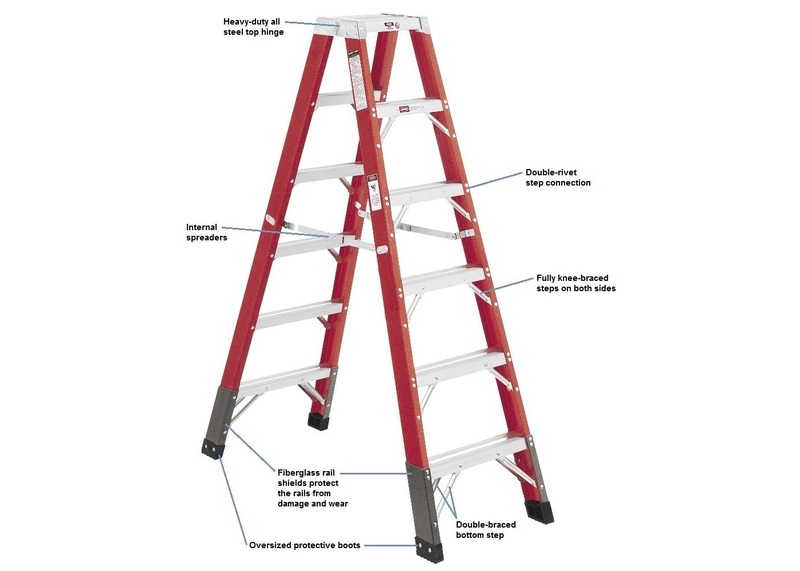 This double-sided ladder supports each step with 6 steel rivets. Built with armored legs to protect from damage and strengthening double-gusseted bottom steps.